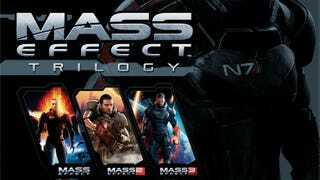 EA has announced all three Mass Effect games will be available for the price of one when EA releases the Mass Effect Trilogy compilation on November 6th, 2012 for Xbox 360 and PC. The collection marks the first time that the original Mass Effect—which was released as an Xbox 360 exclusive—will be playable on the PlayStation 3. According to EA's press release, the PS3 version will be out at a later date.